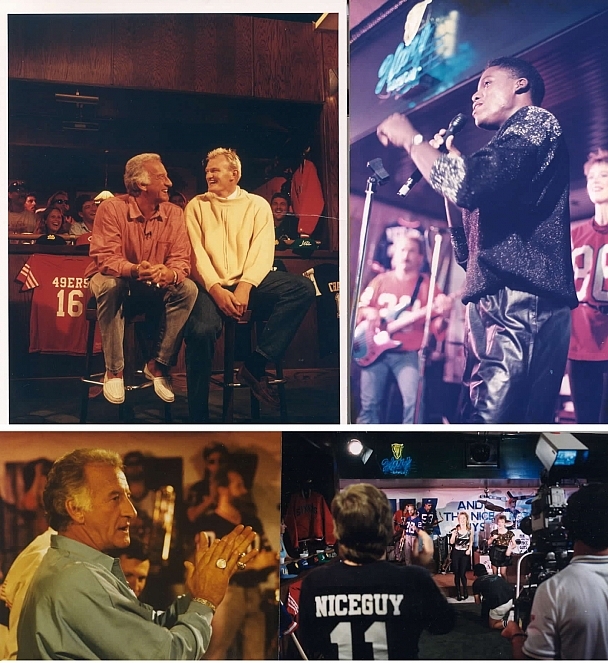 Bob Uecker - Nik Wall of Fame - Photos - Nik Entertainment Co.
NBC’s Bob Uecker Sports Show features Nik as the house band. All shows taped near La Jolla, CA. Top left: Bob with Australia's "Jocko." Top right: Carl Lewis sings with Nik.